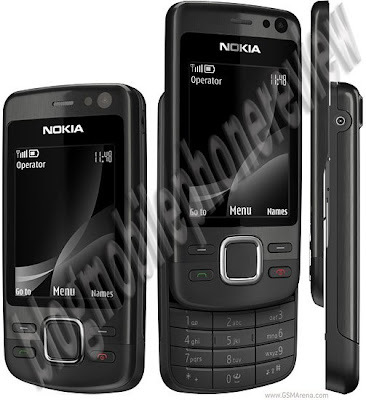 To accommodate the market demand will learn camera mobile phone firm Nokia to offer back the latest update from one of the most purchased model: Nokia 6600i Slide. If observed, a feature taken not far different from the previous type. Equally 3G/UMTS, glossy cover using high quality metal materials, with the extra aluminum in the center key. However, now the camera is 5 megapixel strength. Ability record video also slightly increased to 15 fps VGA and dual LED flash supported. There are also VGA camera for video call. There are other features of Flash Lite 3.0 Accelerometer and Nokia Maps that can be integrated with an external GPS navigation device.